It seems like every once in a while the comics industry needs a major shakeup. Something needs to be done to reintroduce and reinvigorate and reshape the universe as we know it. We've seen it in the past with Crisis on Infinite Earths, Invasion, Infinite Crisis and the New 52. Well, here we are today to talk about glorious rebirth of the DC Comics universe. It's pretty much what it sounds like, a new starting point, and a great opportunity to welcome new readers as well as reintroduce the older ones to their heroes reborn. DC Comics held a special press event to reveal their ambitious new plans. Headed up by Jim Lee, Dan DiDio and Geoff Johns, the ninety minute panel was filled with many big surprises. We also learned which writers and artists would be working on the forthcoming rebooted titles. It's an impressive roster of comic industry greats. Beginning in May with a special 80-page issue, the first in several years, is the DC Universe Rebirth written by Geoff Johns himself. We were teased with the promise of a major surprise to kick off the start off this new series. It's sure to begin with a bang. It's also worth noting that several of the flagship titles will be shipping twice monthly as opposed to their regular monthly schedule. 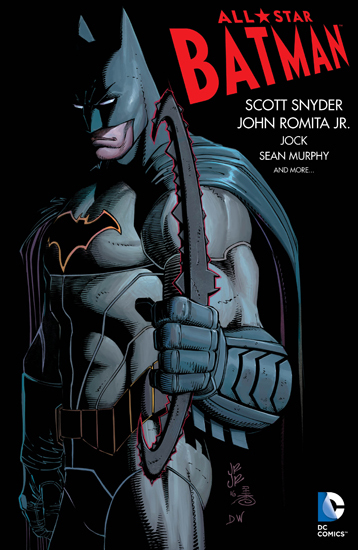 For the Batman titles, the biggest news was probably the All Star Batman series to be written by Scott Snyder. The first issue will make it's debut in August. I know Snyder will continue the intensity we have seen in his previous work. Also, if you're a Nightwing fan, you'll be pleased to know that he'll be donning his classic black and blue suit again in his new series. Writer Tim Seeley insisted on it! The biggest mystery, personally, is how Clayface figures into the team over in Detective Comics. The new 'Detective' is written by James Tynion IV. If it's anything like his reintroduction of Mr. Freeze then this could be one of the more talked about moments in the Bat titles. I'm also really intrigued about the upcoming Batgirl & The Birds of Prey series. Written by Julie and Shawna Benson, notable for their work on the TV series, The 100, this series is going to start with one helluva mystery. How can Batgirl and Oracle exist as two separate entities? For you Superman fans there's plenty to get excited about, mostly with the reintroduction of Action Comics in June. The new series will publish twice monthly. 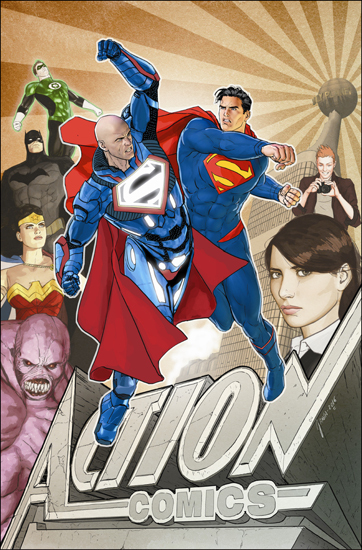 The big hook for the opening storyline involves Lex Luthor declaring himself to be Superman for Metropolis. How this will play out, obviously remains to be seen but I have full faith in writer Dan Jurgens. Something that I'm really intrigued about is the new Supergirl comic. This will include the reintroduction of the Cyborg Superman not to mention the bombshell that he is actually Supergirl's father. Not to be outdone, Wonder Woman probably will have the most interesting storyline, as her new series begins in June. Every other issue will focus on Wonder Woman in the past, in her early days. Essentially the issues will be rotating between past and present stories. Greg Rucka is going to have his hands full achieving a careful balance between the two alternating storylines. Seeing as how this is the same Greg Rucka who gave us Wonder Woman: The Hiketeia graphic novel, I'm definitely intrigued. Also, beginning in September is the monthly title, Trinity, which will be team-ups of Wonder Woman, Batman and Superman. The Flash returns twice monthly in June with a whole slew of speedsters joining him... and one terrifying new villain named Godspeed. July will see the return of Hal Jordan to the Green Lantern Corps. (YESSSS!) An additional title, Green Lanterns, will focus on two new characters wielding their own power rings. Written by Sam Humphries, he described this new title as 'Lethal Weapon with alien technology' as the book will focus on Jennifer Cruz and Simon Baz, two rookie Green Lanterns charged with protecting the Earth. 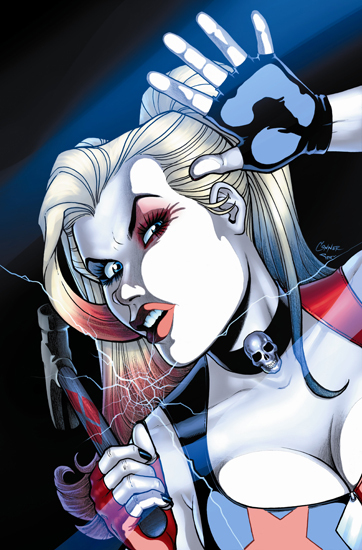 Finally, our favorite villains Harley Quinn and the Suicide Squad will be getting their own twice monthly comics. Jimmy Palmiotti mentioned that as part of the DC Rebirth they wanted their book to be called 'Afterbirth'. That's still up to final negotiations though. Coinciding with the release of the Suicide Squad film, expect these titles to fly off the shelves. Oh yes, one final little tidbit. If you're reading the Justice League New 52, then you know that Batman found himself in the Mobius chair, asking about the true identity of the Joker. Well, during the panel it was announced that in issue #50, that answer will be revealed. Granted, I'm assuming that the answer won't be so easily spelled out but we'll all find out the answer together when the issue comes out on May 25th. As a final bonus, as the event was wrapping up, it was announced that all in attendance would receive a limited edition lithograph signed by Jim Lee! Extra special thanks to the folks at DC Entertainment. This was one of the biggest surprises of WonderCon 2016!